We have been looking further into a UV sterilizer for the 220 - algae has been winning the battle with this one tank, despite weekly scrubbing and scraping. A new lfs here can get us an Aqueaon UV; it acts/looks like an HOB, rated for a 150g. It does not need a separate pump, just a 'plug in and go' type of unit. The unit is $225, and the replacement bulb is $75. I have done a bit of google searching, and will do some more - but I wonder if anyone can share any info about these units? I have been looking at them as well. But from what I have read, there are two things to consider : the wattage of the bulb and the flow of the water. Higher wattage is preferred and many of the cheaper units (around 5W or so) do not have the capacity to kill off the bacteria and algae. The other consideration is flow. The less flow and larger chamber the more the killing efficiency. I have been looking but have not quite decided. I was looking at the cheaper units and the cost of replacement bulbs. The total cost to keep the entire system active was getting high. It may be better to consider a diatom filter (around $150) that is used intermittently to take out any floating microorganisms. For me, I am still undecided. It will be interesting to see what you choose. How much truth is in the slime coat reduction with UV? Is a unit rated for 150g going to put our babies in the 220g at high risk for losing their slime coat? I have never heard of slime coats being affected, and I have friends with central systems with big UV systems running on them. I have a small one I use sometimes- I'm pleased with it so far. Here, it's not for algae, but because I had a really annoying parasite nibbling at some fish. This device helped take it out it in the free swimming stage, and it is now history. If you are fighting algae get some more of Gary's livebearers. Most of these fish are great at finishing off those algae! Actually, livebearers are over-rated as algae eaters. 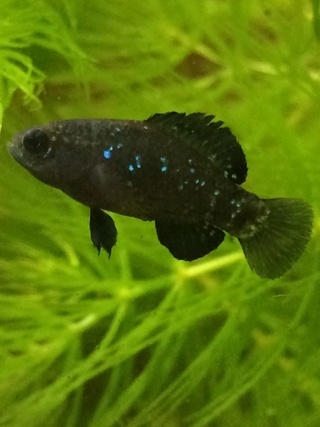 Mollies will eat algae, but it doesn't do much more than slow down growth. They don't clear glass. 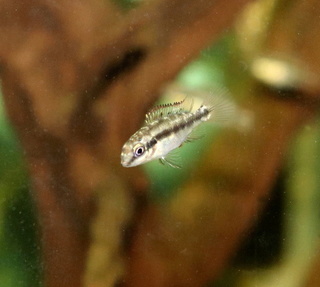 I used to have some sort of feeder fish livebearer, can't remember the name. The ones that have a yellow rim on the tail. It was great at clearing away all my algae! I do like the UV sterilizers which are incorporated into the HOB. My preference is the stand alone with a combination power head. Not quite sure what I will eventually purchase but I am still watching the pricing and the bulb costs. I would most likely use it full time in one tank and then rotate in other tanks. While I do not have parasites or disease problems, I like the idea of reducing algae load in my tanks beside the windows, which receive quite a bit of sunlight. I don't know the product in question, but I am more inclined to buy stand alone everything. Aquarium products are often poorly made and not very durable, and when one componenent goes, often a large expensive unit is useless. If you have a powerhead type UV you have far better control - you can put it on your light timer and only run it half the day, for example. Plus, you can move it around if the problem develops elsewhere. I am leery of using a technological solution to algae on a long term basis, and the nutrients that create the algae remain. Something is off in a tank hit by algae blooms, and suppressing the symptoms just moves them elsewhere. I'd rather have excess nutrients sucked up by removable hair algae than have them sit in the water killing the fish. Back to UV - as mentioned, the higher the wattage the more effective the "zapping" is to kill the bad things in the water. It will not affect fish unless the fish were going through the system (I have heard rumours of Far East breeders running their new and interesting strains of fish through UV to make them sterile and keep the market for their colour strains to themselves) but the slower the water flow means the longer the micro organisms are exposed to the light and the better chance that they will be killed off. UV can kill of algae spores as well as many parasites such as ich that swim in the water column. I swear by UV Sterilizers, they keep my big tanks green free. Anything under 9W will just give you the algae control and not the parasite control that you will get from the larger wattages. I us a 55w on my garden ponds and it works great. You can get them pretty cheap on Ebay. The UV will not effect the slime coat on your fish. The jury is still out for me, hence my procrastination in actually getting a UV sterilizer. As a quarantine measure for new fish, looks like a good idea. As a band-aid approach for acute parasite infections, again a good idea. As an algae controller, perhaps there are better ways and addressing the root is the better solution. The 55w one I have with a spare bulb was around $100 shipped. Mind you this needs to be plumbed into something and will require a pump of some sort if a HOB filter is what you are currently using. Here in the greenhouse there is no escaping the sun so it's pretty much a must. Especially early in the season when the water tends to be cooler and the water plants are not growing much to use up the Nitrates. I have a larger unit that requires being plumbed in my outside pond and have used once for about 6 or 7 years. Everyone around me is always screaming about their green water, mine is always crystal clear and "fresh" looking. Since outside ponds (especially smaller ones like mine at 1300 gallons) usually get lots of sun and a fairly large bioload of fish I feel more secure in running the UV. Initial cost was around $75 on Amazon. Since they worked so well outside I bought some smaller units for my inside goldfish and koi tanks, and since I seem to have MTS, I also rotate them on my tropicals tanks. Mine are 15 watts, and include a pump (and sponge filter) and I got them as seconds on Amazon for between $35 -$40 each. I keep one running with my light timer on my 55 gallon, and rotate the others. I still have "growing" algae on occasion, but have NEVER had cloudy water since the first time I put one in a tank. Brand is either Aqua Top OR Sun Sun, but both units are identical and parts and bulbs are interchangable!! I am convinced my recent Ich issue was so quickly resolved due to the help of the UV filter. I had cysts on four or five fish and I treated with Quick rid only once and had NO recurrence, nor did I lose ANY fish. I do slow down the flow as it comes set at a pretty high rate. My original ones were not adjustable but the newer ones came with a piece of airline tubing and an adjustable plug... simple enough to DIY for the older ones. Mine are all about a year old now and I have had two bulbs burn out, but was able to replace them via Amazon for under $15 each. One unit is currently dead since I broke the glass tube which goes over the bulb while replacing the bulb. Otherwise, they are relatively inexpensive, cheap to run and seem to help with both algae AND parasites. I am waking up an old post as we now have the aqueon uv sterilizer. I do hope it will help with the 220g. As for treating the root of the problem causing algae....I am at a loss. This tank is not overstocked (at least, I don't think it is? 6 weather loaches, 11 denison barbs, and 12 gold barbs). We definitely do not overfeed, and nitrates are always steady at 5. We have not started the uv up yet. Hopefully we will get around to it with very soon.... renovations are taking over our life right now! i would not have a pond (or large tank) without one. @Shell wrote: I am waking up an old post as we now have the aqueon uv sterilizer. I do hope it will help with the 220g. As for treating the root of the problem causing algae....I am at a loss. This tank is not overstocked (at least, I don't think it is? 6 weather loaches, 11 denison barbs, and 12 gold barbs). We definitely do not overfeed, and nitrates are always steady at 5. We have not started the uv up yet. Hopefully we will get around to it with very soon.... renovations are taking over our life right now! A UV Sterilizer will not deal with the green or red algae species that attach to objects. Only the unicellular algae that causes green water will be killed by UV. Further, if live plants are present then the UV is detrimental to them because it will eliminate certain nutrients such as DOC. Algae is a natural part of any aquatic environment so it is impossible to completely eliminate. But there are times when you want to have algae under control, especially if live plants are present, and this you achieve by balance of light and nutrients. I would need to know the data before I can suggest what may be wrong here. Byron, all of our other tanks have algae, that doesn't bother me. This tank, however, has more than I feel is normal...and it is an eye sore. I'm not sure what you mean by data, but I'm guessing you mean amount of light, nutrients, etc? If so, the 220g gets 8 hours of light a day from an aquatic plant light system. We dose with flourish with every WC (so, once a week) - though we generally use less than the recommended dose. We also use root tabs periodically. The live pants are all val (and a moss ball). This tank use to get some sunlight, which we thought might be the issue. But, we bought blinds several months ago and that didn't solve the problem. Shell, I use several UV sterilizers as outlined in a earlier post in this thread. 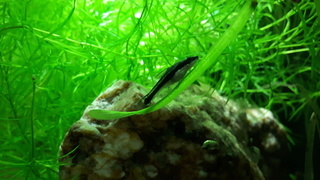 Recently I noticed a bunch of algae, the greenish/brownish stuff that is mostly an issue on the glass, in my 40b. This is my no problem tank, and hasn't had any issues in forever. The other day I decided to move one of the sterilizers from this tank to my platy tank which has been having some issues with fishes getting clamped fins, etc. While cleaning the unit I discovered the bulb was burned out... obviously the reason for the new growth of algae in the 40B. I just today got two new units from Amazon... I buy the Sun Sun filter/UV sterilizer combo unit with 13 watt UV lamp. They are generally around $35 each. I sadly broke one changing the bulb, but otherwise they seem to work great and last forever. Bulbs are also available for around $15 each. I do not have them in all tanks, I rotate the ones I have as needed, and I have never noticed any issues with plant growth. I have the same lights, ferts, and length of time lights are on and off and have the same plants in all tanks. Nearly every week I am pruning plants and they all grow exactly the same. Perhaps more difficult plants may have issues but my easy to grow ones do not. I use the sterilizers mainly for disease control, or at least help with disease issues. Algae control is just an added plus for me. Twice I have had ich show up on newly brought in fish and both times it was completely stopped with only one or two at most treatments with formalin and malachite green, plus the UV sterilizer use for three or four weeks. When I first started keeping fish I had an ich outbreak, used the same treatment but didn't have any UV lights. Sadly, I lost three fish and it took two weeks to get rid of the active cysts. For the cost of the unit and the pain of transferring from one tank to another, it seems a pretty cheap investment to me. When I lost my betta sorority I immediately moved one of the UV units into that tank. I don't know for sure if it helped or hurt, but I certainly felt better with it running in there. I didn't lose any of the other fish in that tank, nor any of the ones I later moved into that tank. Like Steve, I have always used UV lights in my outdoor fish pond, well before I ever got any inside tanks. It is not something I would want to live without in the pond, and, as far as I can see, it isn't hurting anything in the inside tanks and is probably helping, or at least I believe it is. @Shell wrote: Byron, all of our other tanks have algae, that doesn't bother me. This tank, however, has more than I feel is normal...and it is an eye sore. I'm not sure what you mean by data, but I'm guessing you mean amount of light, nutrients, etc? If so, the 220g gets 8 hours of light a day from an aquatic plant light system. We dose with flourish with every WC (so, once a week) - though we generally use less than the recommended dose. We also use root tabs periodically. The live pants are all val (and a moss ball). This tank use to get some sunlight, which we thought might be the issue. But, we bought blinds several months ago and that didn't solve the problem. Yes, that is part of the "data" I mentioned. Obviously this tank has live plants, so you simply need to find the balance between light intensity/duration and nutrients for the plant load. This sometimes takes a few weeks trial. I don't know what light you have...do you have any specs for it? What type of algae? I wouldn't bother with root tabs for Vallisneria. Substrate tabs are great with larger plants like the large Echinodorus, and I have found them beneficial with Aponogeton and Tiger Lotus. But with plants like Vallisneria, chain swords, Sagittaria, etc, the liquid fertilizers are sufficient. Vallisneria is very fast growing, and always does better with good light and moderate hard or harder water (the hard minerals like calcium, magnesium, etc in fertilizers are insufficient if the water is very soft). If the Vall is doing well, it must have sufficient light and nutrients, so the algae is likely occurring due to an excess of light; your nutrient (fertilizers) supplementation is not excessive, hence I would look at the light here. If it is light-related, and the light is more intense than what is required in balance, floating plants are an easy solution. Daylight from windows makes a significant impact on things. 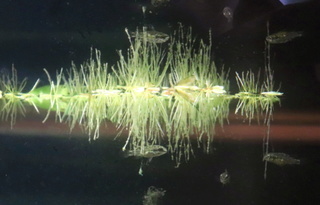 I had brush algae increasing every summer a few years ago, until I worked out that it was likely due to the increased duration and intensity of light in the summer, and once I kept the windows heavily draped in the summer, end of algae. In one tank the tank light had to be reduced by just an hour. In another, I had to reduce Flourish Comprehensive from twice to once weekly; it was only in this tank that it caused brush algae to thrive. Each tank can be different biologically, hence the experimenting to find the issue and restore the balance. To the UV issue. There is no real benefit to this in freshwater, other than dealing with green water. If these units really did do what some suggest, namely effectively killing pathogens and algae, we would all have them. But they do not, at least not completely. They do remove DOC from the water passing through them, and this is detrimental to plants which need all the carbon they can get during daylight, and carbon is the one nutrient for which we rely on nature. The breakdown of organics by bacteria in the substrate is the main supplier of CO2 (moreso than fish, plant and bacteria respiration which contributes but much less). One may not see the effect in some tanks, but would in others. It all depends upon the specifics of the aquarium. On the ich, there is simply no way a UV system alone can kill all the thermonts (or the tomonts for that matter), unless one has a flow-through system whereby all the tank water passes through the UV before any of it is returned to the aquarium. This is the only way that all free-swimming thermonts can be killed by the UV. Some of them are guaranteed to find a host fish long before they get to the UV the way these are set up. As I said above, each aquarium is unique biologically, and I would suggest that algae and pathogens are more likely being affected by several factors other than the UV. Thanks for your response Byron, and Oops...I forgot about the water lettuce....we also have tons of that in the 220g! We have hard water, in fact, the 220 gets water straight from the well - we still treat it though. As for the uv sterilizer, I have heard your side, and I have heard other's side. I think we will give it a go for a bit, just to see...this is not meant to be permanent, I am just curious to find out if it will make a difference. I honestly can't explain the algae, it is greenish, but yet brownish at the same time, and it does influence the water colour. We also have some black beard, but nothing crazy...in fact, I think it looks decent and natural on the driftwood ( it use to be out of control, but it has since died down and is now just a tad bit here and there). Nyleveiam, I agree that it cannot hurt to try, and try we will! This is a bigger tank, and so I wonder if that contributes...maybe not, but we will give it a shot, and if nothing, well, I guess we have something to use for QT! It is true that the UV sterlizer will only kill what can pass through it. ie. it will kill the green water type algae. It will not have any effect on the hair algae that may grow on some things. If the tank gets any natural sun like my ponds and the tanks at work it will certainly help. As far as killing parasites is concerned, I have always believed(read) that anything 18W and up will kill water born parasites. I uses a 55W in my ponds and a 9W on my 800G system at work. I have no proof that they kill parasites, but you can't argue with healthy fish. My plants grow like weeds, unless I miss a feeding on the koi and they start to eat the plants. So assuming that the UV does kill parasites then it will certainly reduce the population. It just like the old argument of water changes, trickle vs all at once. At any rate IMO they are a useful piece of kit and I would not have a large tank that gets any natural sun without one. As far as a tank that doesn't get any natural light the answer is unclear. I will certainly have one on my new SW tank, but that's a different beast. I am not sure that I agree with this statement and I would like to submit the following rationale as to my current thinking, which is contrary to the above. My reasoning why many people are not using UV sterilization is due to the recent availability of low cost easy to use units as we know see, in commercial quantities for hobbyists. This is most likely a new trend that aquarists are now evaluating, as in this thread. So to offer my opinion, I think that UV sterilizers, once the domain of pond, LFS owners and large scale operators, are now being accepted as an additional component, much like their water quality test kits and backup medicine inventory. UV treatment of orange juice. Tran 2004 Food Sci Emerg Tech. It would be nice if Gary could detail how the use of UV has helped him to control a very nasty unknown pathogen that cost him over a 100 fish. I have not disagreed with these statements, quite the opposite. What I have said is that without passing all the water in the aquarium through the UV before any of it is returned to the aquarium, it is impossible to kill pathogens completely. I have not read the references cited, but I would doubt that they disagree with me on this. To the aquarium, and those who contend that UV kills some of the pathogens. Why should this be necessary? If the aquarium is biologically balanced and healthy to begin with, there is no need for UV. It certainly has a place in treating specific issues, such as in stores with circulation filtration where all the water will pass through the UV prior to re-entering the chain of tanks. And it will help with green water, though in my opinion one should not subject the aquarium to such direct sunlight in the first place as this causes other issues besides green algae. Proper husbandry is preferable. There is also a host of beneficial bacteria and pathogens in the aquarium, and using UV just as in using medications always runs the risk of affecting these too. There is no doubt at all that one can have a healthy aquarium without UV. In light of the evidence, I tend to view this much the same as I view adding various chemicals and medications for no real purpose other than as a preventive or some sort of short-cut. I do not believe this is the best way to maintain an aquarium. But I know not everyone agrees with this approach.